Robert F. Hatcher Sr. is the recipient of the Middle Georgia State University Foundation’s Legacy of Leadership award for 2015. President and CEO of MidCountry Financial Corp., Hatcher has been extensively involved in numerous civic organizations and initiatives. He has long focused much of his energy supporting what is now Middle Georgia State University. He served the former Macon State College Foundation as a trustee for eight years before then-Gov. Sonny Perdue appointed him to the Board of Regents of the University System of Georgia. Among the direct results of his work on those boards was the elevation of Middle Georgia State to university status in July 2015. Established by the Middle Georgia State University Foundation, the Legacy of Leadership Award recognizes an individual, persons or group who has given exemplary service to the University and the Foundation. 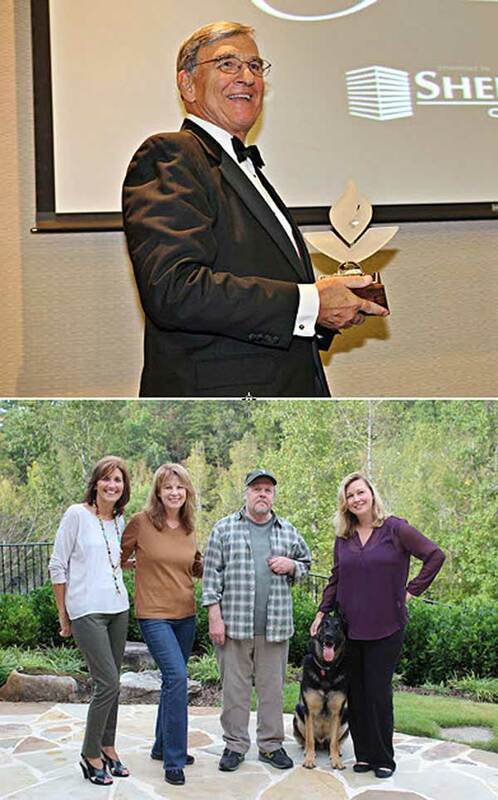 The Legacy of Leadership Award is the highest honor the Middle Georgia State Foundation bestows. Emory Lee Gordy Jr. is the recipient of the 2015 Outstanding Alumnus Award given by the Middle Georgia State University Foundation. A 1964 graduate of the former Middle Georgia College, Gordy went on to become an influential figure in the music industry as a studio and touring bass player, as well as a producer. Among the many artists he has worked with are Elvis Presley, Emmylou Harris, Neil Diamond, Billy Joel, John Denver, Bellamy Brothers, Tom Petty, George Jones, Vince Gill, Alabama and his wife, Patty Loveless. He was inducted into the Georgia Music Hall of Fame in 1992. Semi-retired, Gordy lives in northwest Atlanta, writes, occasionally travels to Nashville as a studio musician and plays guitar at most of his wife's yearly appearances at the Grand Ole Opry. The Middle Georgia State Foundation established the Outstanding Alumnus Award to recognize graduates who have distinguished themselves academically, professionally, or through community involvement and achieved positions of influence and regional or national reputation. Photo: Robert F. Hatcher Sr. (top) is the recipient of the 2015 Legacy of Leadership Award. Emory Lee Gordy Jr. is the recipient of the 2015 Outstanding Alumnus Award. He is shown with, left to right, Beth Byers, Middle Georgia State’s executive director for Development; his wife, singer Patty Loveless; his pet dog, Gustav; and Natalie Rischbieter, Middle Georgia State’s director of Alumni Relations.